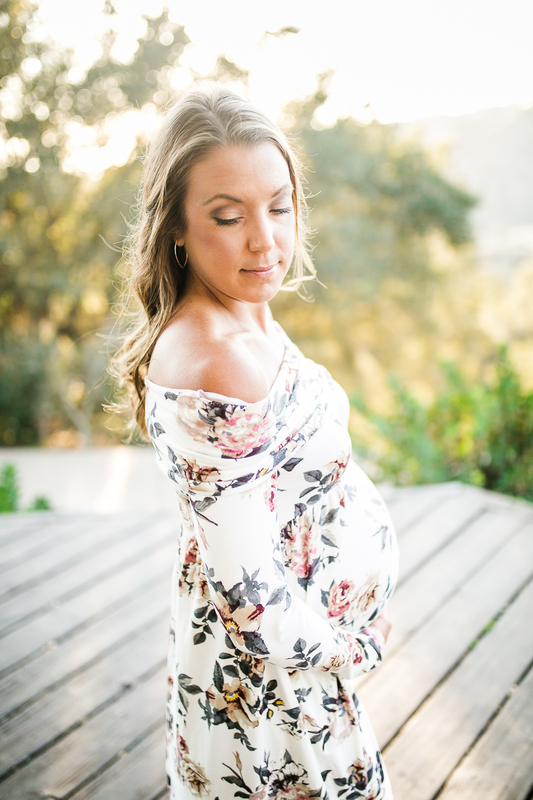 I love every pregnancy that I get to capture, but there's something special about photographing a mama who's in the same stage of pregnancy as I am. The gorgeous Jill and I are due just a week apart and it was so fun to spend some time with her and her husband Gene before they welcome their baby boy. Jill had the fabulous idea of shooting at Elings Park in Santa Barbara and I. Am. In. Love. with the location! The beautiful golden light and all the trees made for the perfect setting for the first part of this session. Jill picked out beautiful dresses and her hair and makeup were impeccably done by Melissa (@thrive4beauty). I mean, that dress with gold sequins against her gorgeous skin still makes my photographer heart smile. Jill's amazing style choices make sense seeing as she started a running apparel company (@runinrabbit). After Elings Park we headed down to Hendry's Beach for some sunset shots and my goodness- we were blessed with a beautiful sunset for these two! Jill's blue dress against the pinks in the sky was perfection. Gene and Jill have such a great relationship and I know are going to make wonderful parents. Little Man already has them wrapped around his fingers and it was so magical to see the glow of first time parents in their eyes. Seriously they lit up any time we talked about them meeting their baby for the first time. I have no doubts they're going to rock this parenthood thing and do it in style. 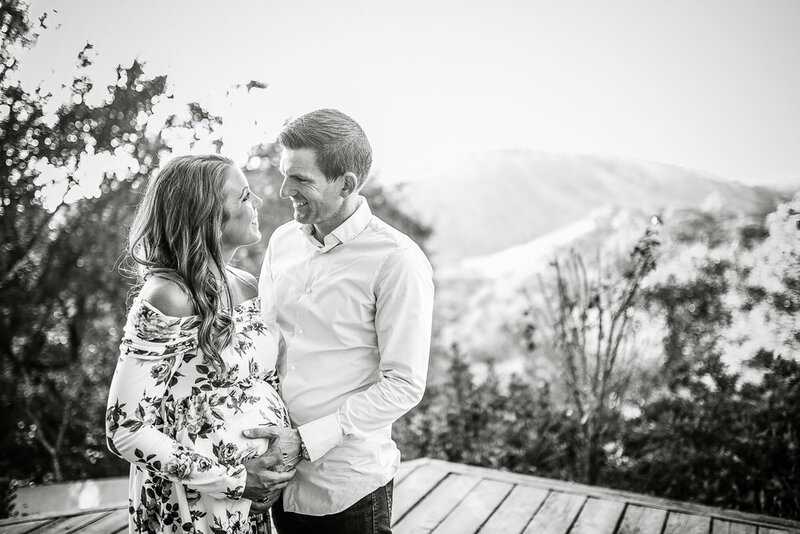 I can't wait to hear that baby boy has arrived and shoot their Fresh 48 Session! Congratulations from the bottom of my heart! (Click on the thumbnails to see the full size images).